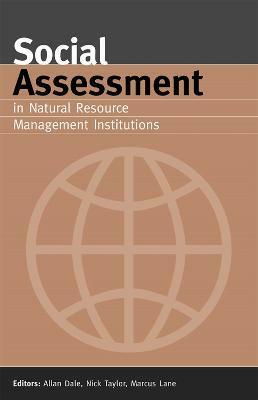 This book is the first significant international attempt to outline and analyse how social assessment has been integrated within natural resource management institutions to date. In doing so, it focuses on contemporary Australian and New Zealand experiences, and relates these back to the international context. Social Assessment in Natural Resource Management Institutions provides practical guidance for a wide range of planners, managers and stakeholders striving for better integration of social issues.